Quo Vadis Executive Desk, distinguished by its geometric structure and simplicity, bears the stamp of the Studio Kairos, an all-architect design team from Milan. 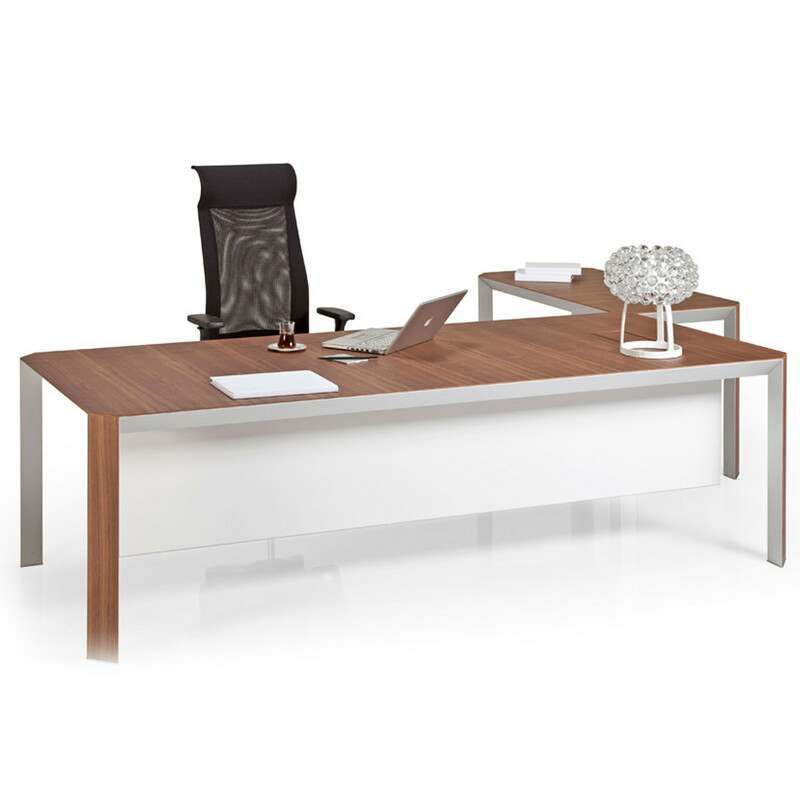 An ideal high-end contemporary furniture solution for prestigious office environments such as director's rooms and management level offices. 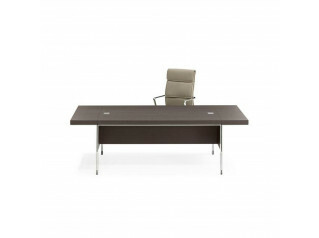 This executive office desk consists of a wooden tabletop which resides on an aluminium frame of unique design. Modesty panels and under-desk caisson-drawers may be added on request. The top surface descends from the legs at the corners like a one-piece tome. 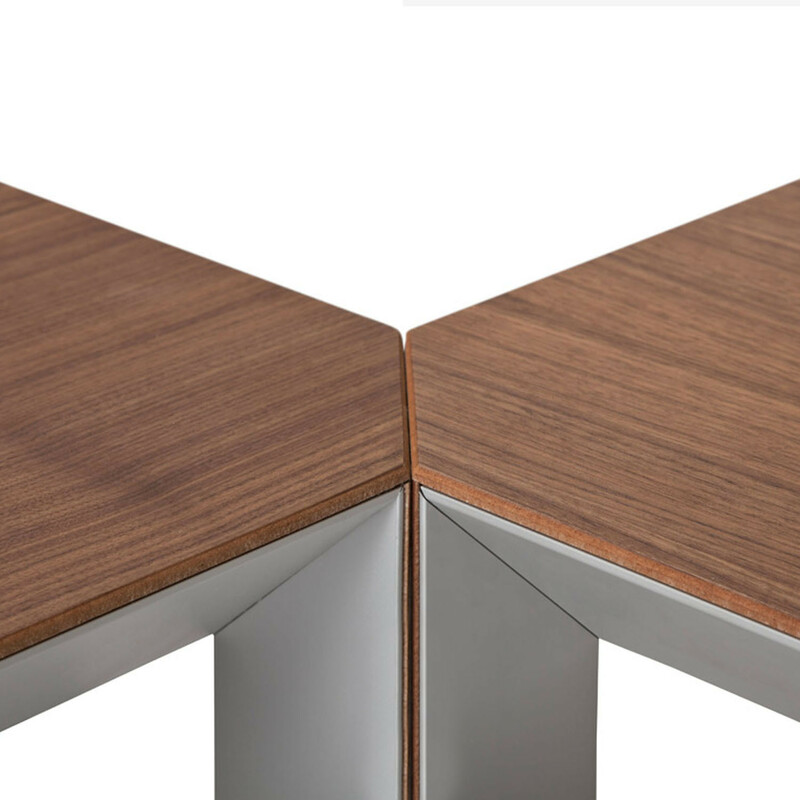 The material thickness at the edges of Quo Vadis Executive Office Desk is well hidden by the smartly designed details of the aluminium frame and corner connections. In principle, Quo Vadis presents a very inviting character, communicating less of a hierarchical tone but more of a collaborative attitude. The treatment of the drawer unit edge detail is in direct correlation with the table. The simplicity and elegance of the design breathes through all the details in the programme. 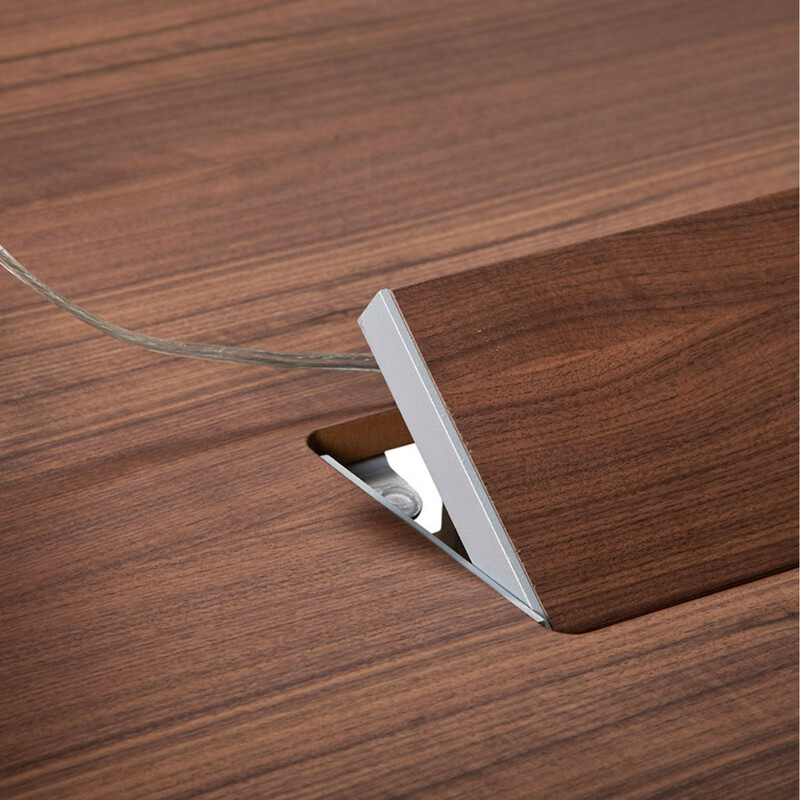 Access to cable management is provided by a simple flap on the desktop which has the same surface finish. 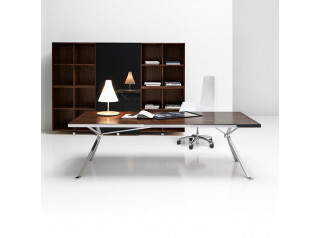 The frame is an anodized aluminium finish with the desktop in walnut or white oak with a natural surface finish. 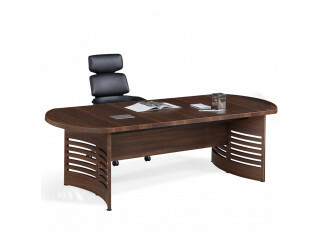 You are requesting a price for the "Quo Vadis Executive Desk"
To create a new project and add "Quo Vadis Executive Desk" to it please click the button below. 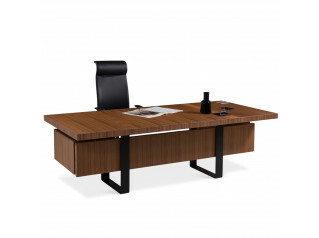 To add "Quo Vadis Executive Desk" to an existing project please select below.